One of Asia’s biggest beauty brands, Innisfree is in Sydney (and it’s cheap). Innisfree is South Korea’s biggest beauty brand. 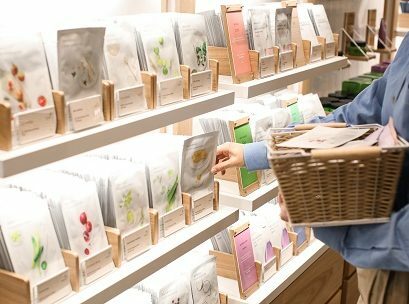 It was established in South Korea in 2000, as the country’s first natural beauty brand and is opening all over the world. The brand’s founder based it on his grandmother’s beauty recipes she made in her own kitchen over many years. The base initially was green tea. 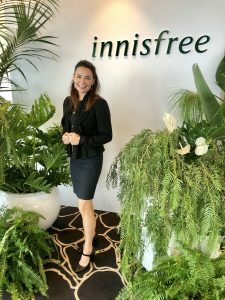 Bondi Beauty Founder Renae Leith-Manos at the launch of Innisfree in Sydney. Globally, this brand is BIG, with over 1,700 stores all over the world. Innisfree is the number one beauty brand in South Korea. Innisfree have over 20 million customers, and over 500 stores in China alone. The ingredients hail from Jeju island, south of South Korea, a favourite holiday destination for Koreans. The island’s natural flora consists of beaches, semi-tropical forest as well as the world heritage site Jeju Volcanic island and lava tubes. Koreans flock there for rest and relaxation. It is reputedly a wealth of natural and organic ingredients now harvested in the skincare by Innisfree. The concept is inner and outer beauty, and about caring as much for the environment as the outer appearance. The brand’s vision is Asian beauty wisdom.For many years south Korea has been behind some huge beauty trends, as well as brands. Innisfree is bringing Australians the chance to experience the South Korean trend first hand. Innisfree green tea serum, 13 are sold globally every minute. The store is as beautiful as it is clean. A flagship store is opening in Pitt Street mall shortly, but this first store in the QVB is the best place to spend an hour experiencing the best of South Korean beauty. 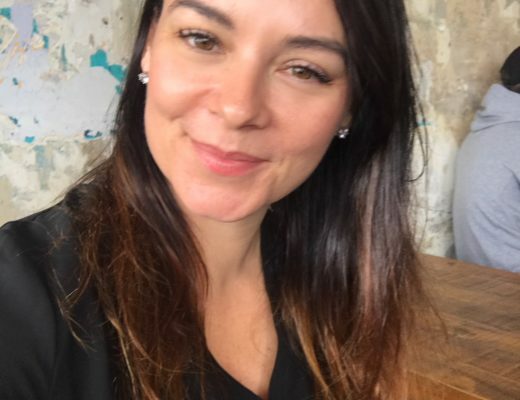 There is amazing natural skincare, a gorgeous range of beauty including heavenly lip colours, cheek and eye palettes, home fragrances, and a bank of travel facial masks that start at $2 each. ● The first 100 people that spend $50 on the opening day will get free VIP Vouchers for a free product every month for three months, a limited-edition Eco-Tote Bag and an innisfree Most-Wanted Kit (3pc global best-sellers). ● The next 1,000 people that spend $50 on the opening day will get free a limited-edition Eco-Tote Bag and innisfree Most-Wanted Kit (3pc global best-sellers). Click here for the store’s online site. Beauty Tips: AHAS – What Are They? And Why Your Skin Needs One.